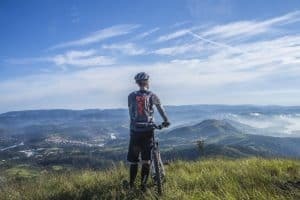 A good set of mountain bike tyres can really elevate your riding experience to the next level. 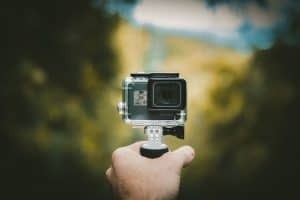 However, it can be difficult to know exactly what you are looking for when searching through the products on offer. Different styles of riding as well as ground conditions both influence which tyres will be best for your personal set-up. After the summary table below, we discuss the key things to look out for when choosing tyres, followed by our detailed reviews. 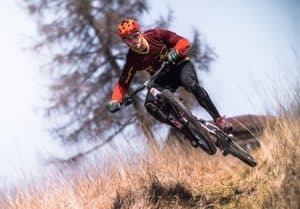 In this article we will focus on All-Mountain/Enduro/Trail tyres, with the aim of finding you a set of tyres that will be most equipped to handle any conditions you may be riding in. While you can absolutely get away with running the same tyre on both front and back, many riders opt to use a more aggressive, knobbier tyre on the front and a faster rolling tyre at the rear. The knobby front tyre should provide better handling, while the less aggressive rear tyre can be faster rolling with little adverse impact on traction due to the riders body weight pushing it into the ground. This combination leads to improved cornering and general control. 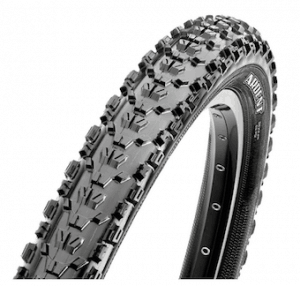 MTB tyres come in 3 sizes (or diameters): 29 inch, 27.5 inch and 26 inch. Be sure to check the size of your tyre against the label on your wheels before purchasing. Tyre width typically ranges from 1.6 to 2.5 inches. At the wider end of the scale you will have improved stability and traction, while compromising slightly on speed. As a general rule, the more aggressive your style of riding, the wider tyres you will use, particularly at the front. 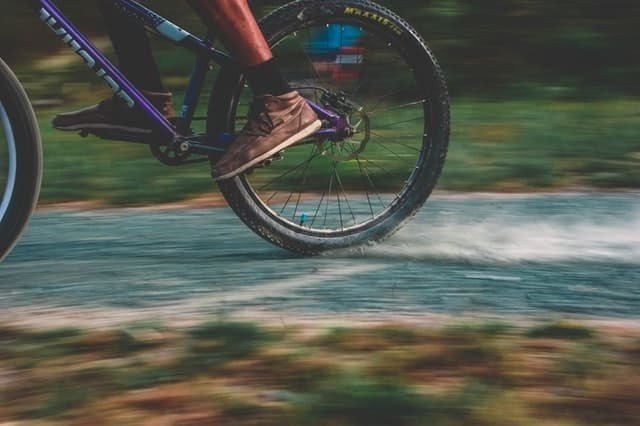 Tubeless (or UST) tyres Tubeless tyres are the most popular type of tyres amongst serious riders as they are more durable (meaning fewer flats), allow lower tyre pressure (providing better traction), and weigh less. Note that tubeless tyres do require a special rim with a lip for the bead of the tire to sit in, so ensure you have compatible rims. Also worth noting is that many tyres are simply tubeless ready/compatible, meaning you have the option to use them with or without tubes. 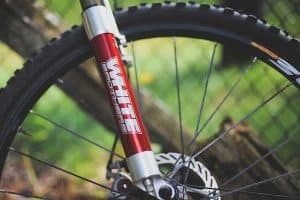 ​An aggressive, very well balanced tyre, the High Roller II is the latest iteration of the super popular High Roller tyre from industry leaders Maxxis. 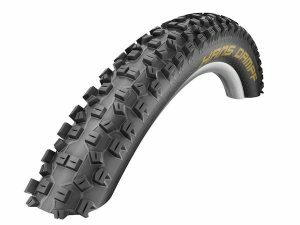 Designed to provide superior soil penetration and mud clearing ability, this tyre is a go-to option for all-mountain riders around the world. It has a square profile, providing a solid, consistent feel, while modified knobs on the shoulder and centre improve braking performance and traction on hard surfaces. ​Another super popular all-mountain tyre, the Hans Dampf is famous for being a very reliable do-anything tyre. Designed to be a well balanced tyre that works to correct rider errors, it still grips well with decent side knobs. ​Another amazing option from Maxxis, the Ardent is a do anything tyre with an aggressive, high-volume tread and large block style knobs. Slightly less aggressive than the High Roller, the Ardent would suit a rider who enjoys a wide range of riding styles and conditions. 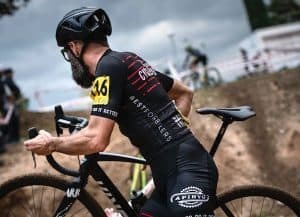 ​Offering a faster ride than our other tyres, the Rocket Ron is more of a XC race tyre, providing low resistance and weight, while still maintaining a solid level of grip for high speed cornering. 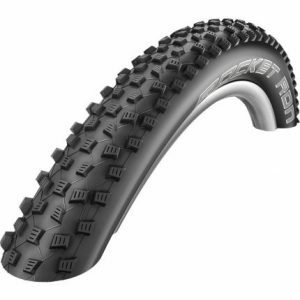 Also included in this tyre is Schwalbe’s famous Snakeskin sidewall technology to increase durability. ​Handmade in Germany, Continental pride themselves on making very well designed, high end tyres. 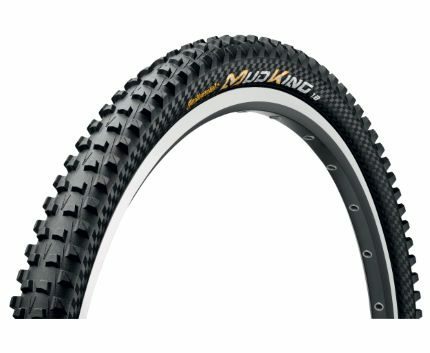 The Mud King ProTection, is one of the best options out there for anyone looking for a tyre suitable for muddy conditions. One of the big positives of this tyres is its ability to clear mud from the tyre grooves, meaning you don’t need to stop and do this manually. The best tyre for you will really come down to your riding style and preferences. 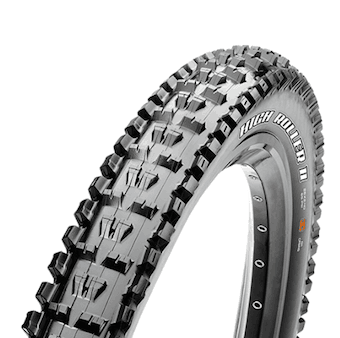 If we had to choose just one tyre for general all-mountain we’d go with the Maxxis High Roller II due to its superior grip without compromising speed and weight.